Bis bald Wien! Bis bald Deutschakademie! First of all I want to say thanks to Deutschakademie who gave me the opportunity to write here in the blog and, the most important thing, thanks for helping me with my German these 2 months. But Deutschakademie is not just an academy, for sure not, It´s a big group of teachers and workers.They are nice people who want to speak with you, who are worried about how your german is going. I would say more… Deutschakademie is all of us. I have to thank Iris, Hanna,Lisa and all my classmates I had in my two courses. Maybe you are thinking I am crazy and stupid and probably you are right, but I am just 21 year old and It´s now or never! This thing is my dream, i have thought every day this dream and now it becomes reality. I will visit cities and when I arrive in Spain I will visit my Spanish Erasmus friends that I met this year, I promised them it! Austria and Vienna have been nice places to live. I will come back one day! See you soon Vienna!see you soon Deutschakademie! This entry was posted in Mein Deutschkurs on 29. July 2014 by Alejandro Garcia Puga. Hello again! As you know I´m doing another curse in our academy and I´m feel bad if I don´t show you my classmates . A big group right? We are ten students instead of 5 classmates I had in the last course so you have to be more focus on the lesson and try to study every day, otherwise you won´t have the pace of the class. The bigger group, the funnier time! 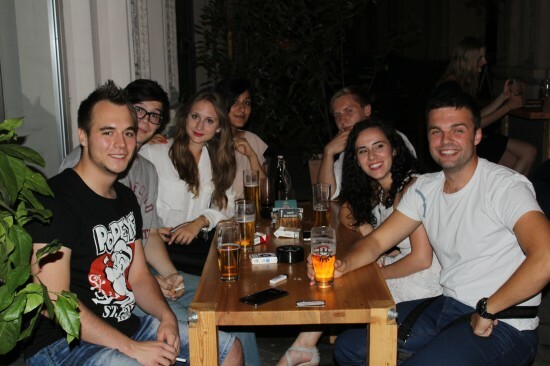 They are wonderful people, they are here for different reasons but we have a common goal… to learn German! Some of them need German to get a place in a Germany university, for find a good jobs in their countries or here and other just to live here. They came from Afghanistan, USA, India, Italy, Russia, Bosnia and Spain.I have a good time in the class and we laugh a lot. Pier, an Italian man, is the most original of us. His head is always thinking in funny sentences! She is Lisa, from here, Austria, she comes from Linz I would say… I don´t remember at all. But I have to say she is a professional teacher, she prepares each class before and we are always learning. We practice each part of the language, reading,listening,speaking and writing…. And we have homework every day! There is a new aspect which we have to do, in this course, we have to make a presentation in groups of 3. The topic could be whatever because the point is to do it in german and to make our first presentation in this hard difficult language to learn. Today is my turn… I hope they like that. This entry was posted in Mein Deutschkurs on 28. July 2014 by Alejandro Garcia Puga. This week is my last one in Vienna. The first of August I will start my come back trip, but before that I just remember the most important places where I have been a nice moments with friends, relatives and sometimes alone. You should watch at least once a performance in the opera, lie down near to Karlplazt… this nice church which shared with me a lot of lunch´s times! Stephansdom… I had no words when I saw this monuments my first time, and I was so proud each time I show it to my friend when they came.I invite you to visit it during the night… as late as possible, but still at night, when there are no people on the street. Then, you will feel how huge and beautiful Stephansdom is… Trust me and do it! Vienna has more than 300 hundreds museums,from among which one must stand out Albertina,Museumsquartier,Schönbrung museums and both of the two similar museums between Museumsquarties and the national library. You should go to run in Praterstern .It has a main road which its length is around 4km! Near to karlplazt there is a fresh market where you could buy meat, fish but foreign spices also. It´s called “ Naschmarkt” and every Saturday there is another market close to it where you could find the strangest things you have never seen. The parliament,Votivkirche, Schönbrung and Belvedere palaces are so beautiful but the thing which makes Vienna different of other cities is the huge beauty that its building have. When you walk around the city you could see hundreds of buildings, big, with old facades which remind old ages and you think that these buildings have to be official buildings or embassies… you are completely wrong because they are just normal flats or offices! Another important point of this city for me is the enormous quantity the events that you could enjoy them, a lot of free concerts, tens of Christmas markets around the whole city, skating rink in Rathaus square and more things that I just forgot. 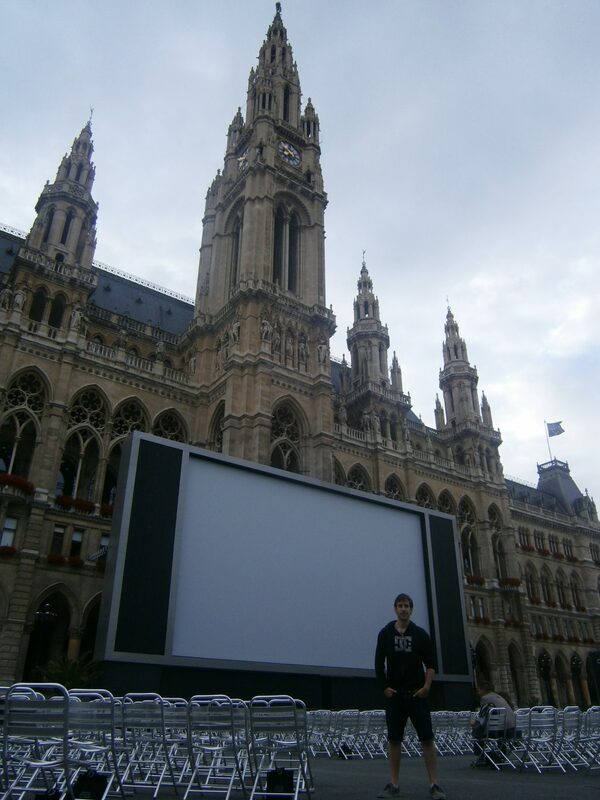 Rathaus… the most beautiful city hall I could remember, where it hosts several events, now during July and August there is a huge screen where every day you could watch a film in original version. Have a look on this picture and then you will realize how big the screen is. This entry was posted in Mein Deutschkurs on 27. July 2014 by Alejandro Garcia Puga. Now it´s time for lunch and dinner! You would have been in Vienna if you didn´t taste its knuckle! The “ Wiener stelze” is one of the most famous dishes in Austria with as you should know the “ wiener Schnitzel”. 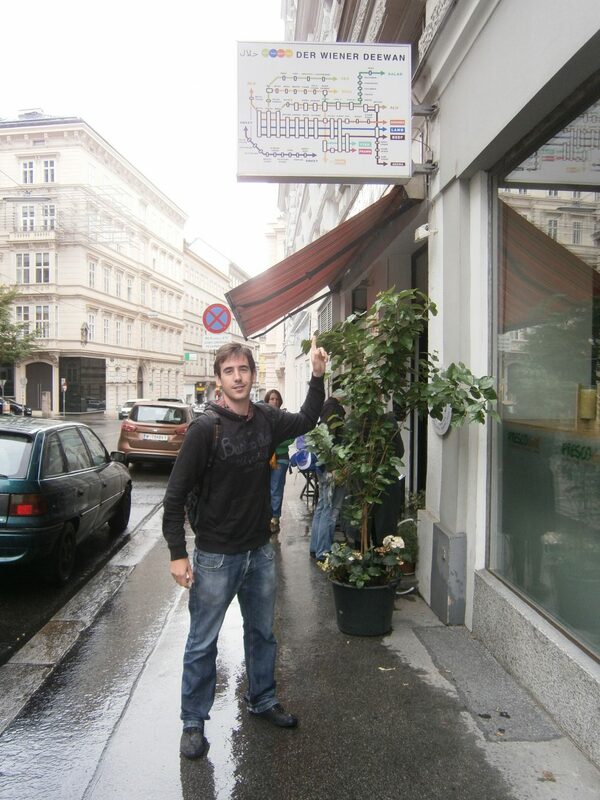 Well, I suggest you one restaurant where each person from Vienna have eaten there at least once. 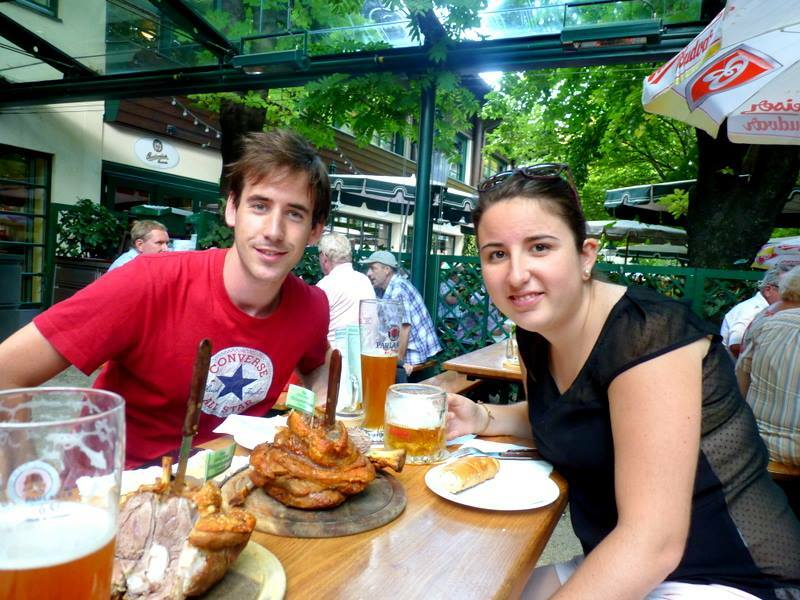 This place can´t be other than Schweisserhaus. It is in the middle of the Vienna´s theme park in Praterstern! If you don´t believe in my words then, you have to look this picture! I have to say that after this huge knuckle I went to my Deutsch course and I was sleeping during twenty minutes… hahahah. Well, another kind of restaurant is the next one. Isn´t it perfect? There six different dishes and they bring you water for free. I usually pay four/five euros. The place is so homely!Have a look! 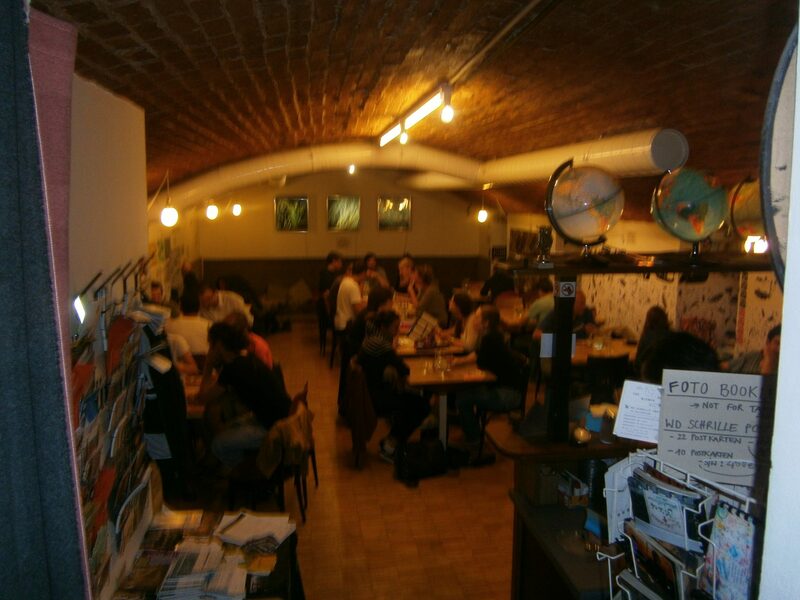 I write here his website where you will find its address and nice pictures of the restaurant. My last tip is for having dinner. I hope you like these posts and I would be glad if someone of you visit them and after that,write how the meal was. This entry was posted in Mein Deutschkurs on 21. July 2014 by Alejandro Garcia Puga. 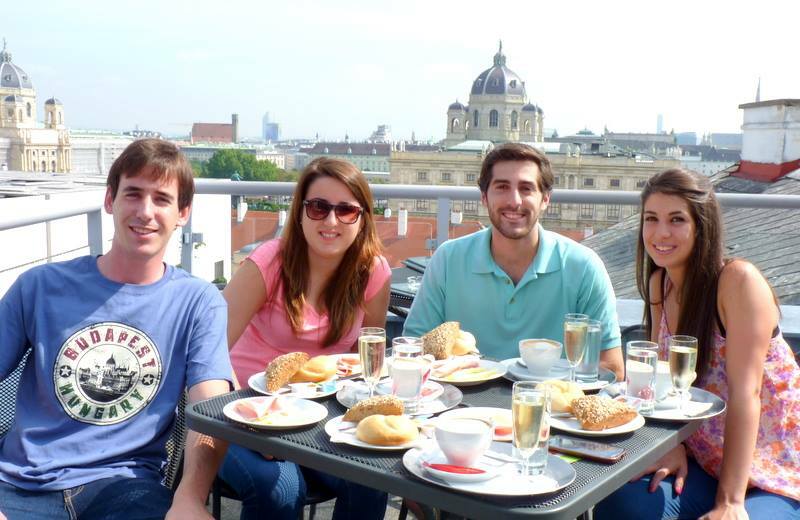 Some tips for having breakfast,lunch and dinner in Vienna! Do you know any cheap place to have breakfast, lunch or dinner in Vienna? During my year hear I have found nice places where you will have a nice views of the city, you will eat properly and the most important thing for our wallets is that you will save a lot of money . Here I give you some Tips, names and direccions! 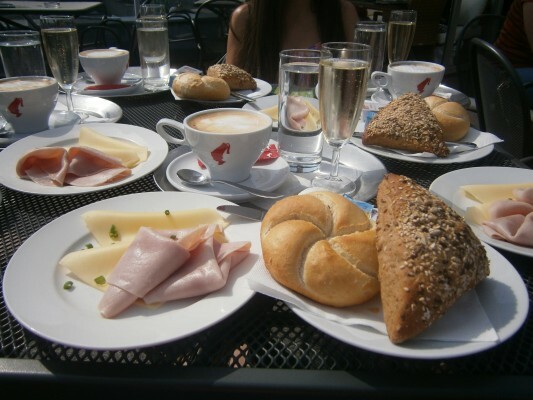 For breakfast I suggest you this terrace where you could see the whole Vienna and if it is a good day with sun I can´t describe how good you will be there! It contains two semmels with two slides of jam and cheese, one coffee ( you could order Melange or black coffee) and a cup of champagne…. Isn´t it perfect? The price? How much do you think this breakfast costs? You will be surprised when you read that the price is just 4 euros, actually 3,90 euros. They offer breakfasts until 10:30! Be careful with the bed! This nice cafeteria is in Mariahilfer strasse , close to Museumsquartier. This cafeteria is in the fifth floor of the “Leiser Wien”´s building, a company which sells a lot of stuff for houses… since kitchens until boxes. If you have guest, this option should definitely stay in your plans! 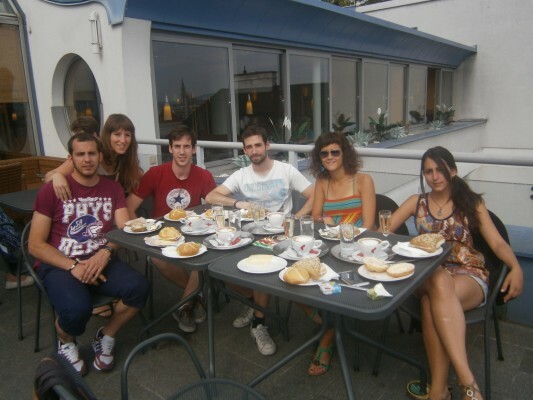 I did the same with my guest and my friend´s guest! This entry was posted in Mein Deutschkurs on 17. July 2014 by DeutschAkademie. The last day! If it is a good thing, it must have a beginning and end. Last Friday was our last day, we had a three intensive weeks where we improved a lot our German, maybe there is not enough time to keep all the knowledge which we learnt but we should study hard and try to use it as maximum as possible. After the class we decided to take a beer in a bar. We didn´t need to go far away, just down stairs, as you could appreciate in the picture. Unfortunately when the waiter could take us a picture we had finished with our beers! You know Hanna, Ludmila and me but I guess you are thinking who those two men are. 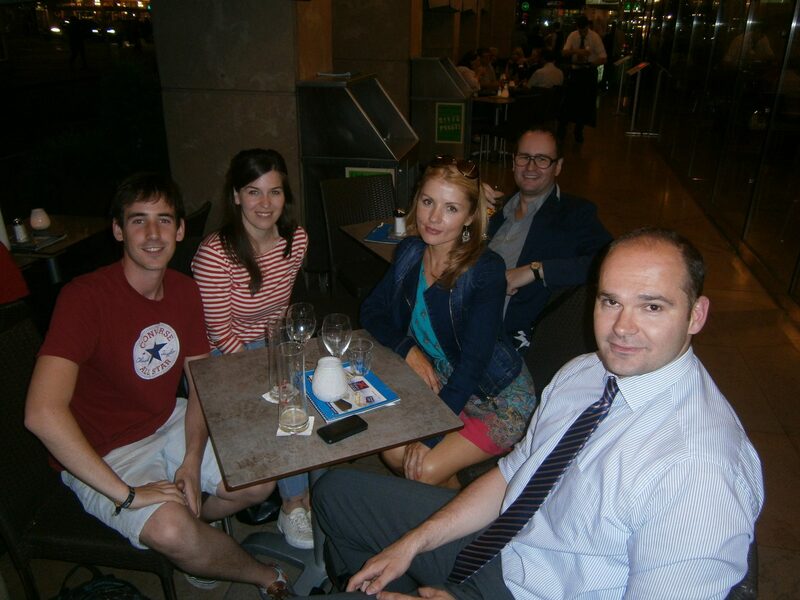 Well the man behind Ludmila (The man who wears glasses) is Ludmila´s husband and the other one, the tallest one is Damir, another classmate who couldn´t be presented when I took a picture of my class in one of my first text here! He is the best one! He speaks very good and so fluently. Thanks to him, we could learn more and more but for sure, to learn or not in a course depends a lot how good the teacher is and we were lucky because she was so good! 😉 I have to say that she is a wonderful teacher but no only because she explains clear and good, she was so attentive and friendly with us and that was the point! THANKS A LOT! I wish the best for all my class and they could get their dreams! I´m sure my classmates will learn German soon! :):) Have a good live!! 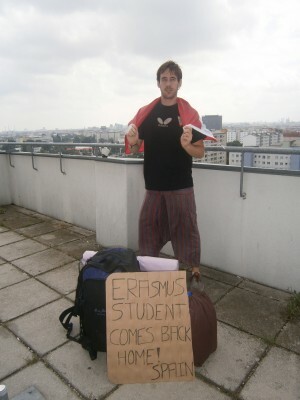 In my case… I will do another Deutsch course during July… I´m not going to good bye easily! This entry was posted in Mein Deutschkurs on 7. July 2014 by Alejandro Garcia Puga. Well, today I´m going to speak how my German classes were during this month, how their structures were and my feelings about them. We learnt grammar every day and we practice it with some practice exercise, we could do it together or the teacher usually gave us some minutes to try to resolve it by ourself. I like when each of us said a sentence in the exercise and then we could try to find the mistake and realized how the correct one should have been. Ones per week we did listening exercises where I was completely lost, they were so hard, but in the end I have to say I was much better than in the beginning. I think it is the most difficult part in a foreign language: to listen conversations by radio. I have to say that this last part was my favorite part and I often started those conversations and I was probably the one who more spoke 😉 if you don´t try… you don´t learn! The picture of today is with my classmate Ludmila who had to listen me the whole curse and try to understand my Spanish accent in German because we always were sitting together hahahaha! This entry was posted in Mein Deutschkurs on 6. July 2014 by Alejandro Garcia Puga. Today I want to speak about one amazing person! I think he is the craziest person who I have never met! But he just try to catch up his dreams because he has his idea so clear. 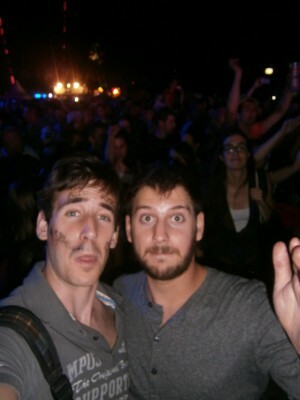 He is my best friend in my ERASMUS period, well, I would say my older brother, my brother Nikolay! He has a big heart and he always is happy. Some of you know how I am… and you think I´m the happiest person you have never known but really, he is more or less the double that me. Stop thinking if I won´t get it or not, just go and TRY, TRY and TRY. If you try and fall, you will satisficed that I tried at least. The worst thing is not to try. The doubt is a mistake, you have to be confident! These things I learnt from him, we could be crazy and responsible at same moment. 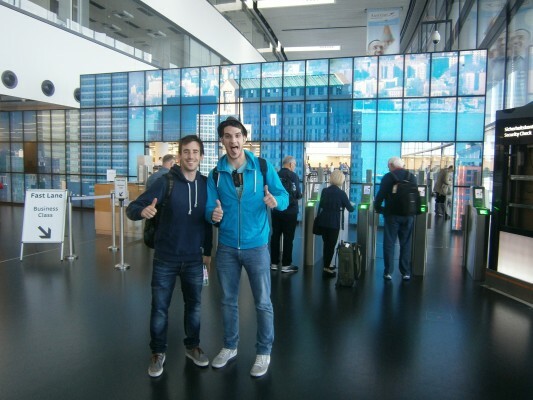 Here I show a picture with him in the Vienna´s airport. It was just one month ago, for this reason I´m writing this text because I miss my older brother! why were we there? Because he was just getting the beginning of his actually dream! One day in the last October he just woke up with a new dream: To go to Ibiza, to try to find a job and to spend there the whole summer. He did his dream, he just bought a one-way ticket plane without contact there(no job, no friends, no room to sleep), with a little level of Spanish ( he is from Bulgaria) but it was enough! Now he has a lot of success there. This entry was posted in Mein Deutschkurs on 4. July 2014 by Alejandro Garcia Puga. Do you know this festival? It is so famous, once per year in Vienna and completely free! 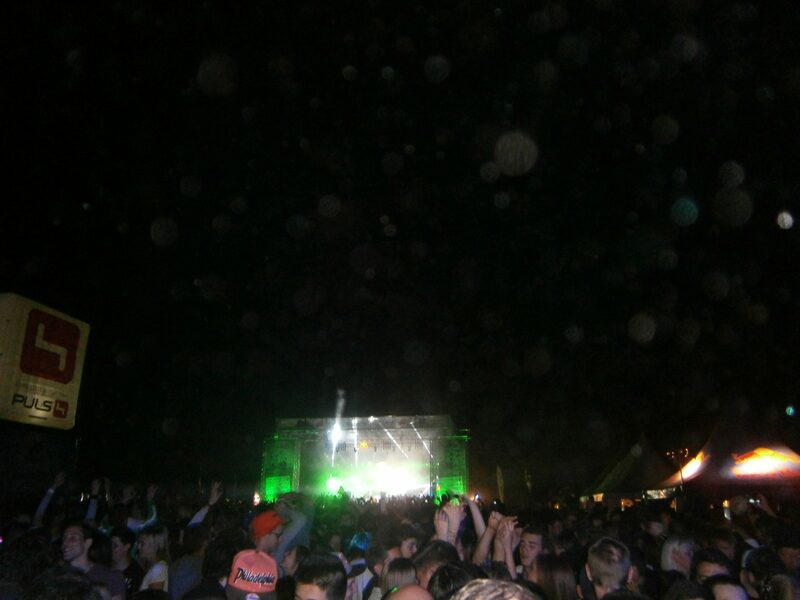 The best DJs in the world want to come there every year, there are tens of stages across the Danube island. The schedule is the only thing that I can´t understand… it´s only between 17 and midnight. In my opinion it should be with more hours or at least more hours after midnight. What did I find there? Thousands and thousands of people, it was so overcrowded. More than half Vienna was there! Finally we could arrive to one of the principal stages and if you look the following picture you could understand the size of this festival. I was in the middle of the area… so there was the same quantity of people behind me! It was one of many things you could do in Vienna at summer! well… I have to say I didn´t have a bad time there… You know… With good music, with friends and some juice it´s difficult to don´t have fun jeje. Hahaha someone of my friend wrote on my face a nice sentence but I didn´t expect it was so huge. I can remember what she wrote… something with the words Spanish Kiss and no Stress. I think you could guess it!!!!!! By the way! Thanks Javi for this amazing year together! Bye bye!have a good day! This entry was posted in Mein Deutschkurs on 3. July 2014 by Alejandro Garcia Puga.